The other day, I was looking at international health insurance options. After a quick Google search I landed on a website that offered some packages that looked decent. I was 80% convinced the offering was what I was looking for but I still had 2 or 3 unanswered "I'm a special snowflake"-questions. That's when I saw the form: "Need help deciding which package is perfect for you?" My thoughts "Yes, please!" I didn't hesitate to give them my phone number. A few minutes later, a sales person called me back. He answered my remaining questions and closed the deal. Discover how can you use the power of telephone sales in your business even if you do not have a sales team on call 24h/day. 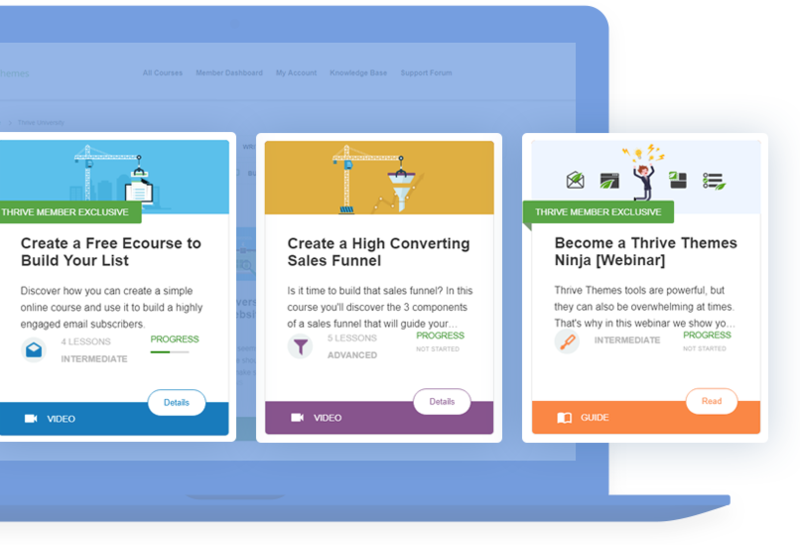 Thrive Content Builder and Thrive Landing pages have been replaced by Thrive Architect, which now has 271 pre-designed page templates and you can preview them all in our landing pages gallery. A call-back strategy can be extremely profitable for your business too. Especially if you're offering a service, consulting, coaching or any other type of high end product. When somebody requests a call, they are almost ready to commit. They just need that little nudge to get them to purchase. Thing is, you have to act fast. As soon as you receive a new lead, the timer starts ticking. The odds of a lead becoming a customer decreases 21x between 5 min and 30 min... And 4x between 5 and 10 min (source). The good news is that only 53% of companies who receive a web lead will contact them by phone (source). This means that, with the right systems in place, you can be the exception that closes the deal. We're offering you a solution to get the best of both worlds, hot telephone leads and the opportunity to act fast without checking your website every 5 minutes. MailChimp stores email addresses and phone leads. You can get a free account up to 2000 contacts. Click ﻿﻿here to get the tutorial to connect MailChimp and Thrive Leads. 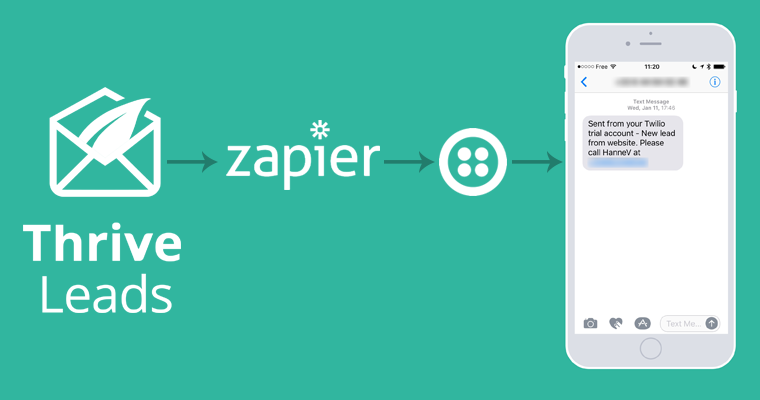 Zapier moves info between your web apps automatically. You can sign up for a free account. Cloud communications platform for building SMS, Voice & Messaging applications on an API built for global scale. You can get a free account and upgrade when needed. A visitor arrives on your website and fills out a call-back form. Thrive Leads, through the Thrive Notification manager is sending the collected opt-in information to Zapier. Set up a new Thrive Leads form with a phone field, connected to your email marketing service (= MailChimp). Verify if everything is working appropriately. Start receiving SMS notifications when you receive a new phone lead on your website! I hope this tutorial helped you set up an SMS notification but also that you see the power of the notification manager! First: This is a True Top Notch tutorial! Second: I was looking for such a solution right two weeks ago and was sad that Actice Campaign doesn’t offer SMS sending in Switzerland, where we are located. Now I have found the perfect solution. Glad to hear that Svein! So Aweber will also do i.s.o. Mailchimp? Yes, Aart. Aweber works too! How to use this methodology to inform the opt-in prospect where to download the free report? Is this possible? It can be done with AgileCRM and Twilio. You set up a trigger in AgileCRM to initiate the SMS in Twilio. Great Tutorial! You can do a bunch of neat things with Twillo. I also wanted to mention that instead of worrying about calling leads back yourself. You could hire a Virtual Receptionists to do that, and schedule book a consultation, or demo directly on your calendar. That way you are getting back to them quickly, but they are not interrupting your flow. You could use a similar workflow, except you could add a send email option in Zapier to alert the Virtual Receptionists, to make the call back on your behalf. Thanks Kelly, that’s a great tip to keep in mind. Awesome video Hanne! I was looking at doing something like this for a client and wasn’t sure the easiest way… this helps a lot. Do you have any other zaps you use that you would personally recommend? Or have a resource/video of where to get started with Zapier? I use IFTTT for some basic social media automations but am looking at Zapier as well. Thanks. I’m happy this will help you with your client. Maybe sending all the information to a google spreadsheet can be helpful or if you’re using Slack with your team, a Slack message to the sales team when a new lead arrives could be nice. When using this set up will customers need to double opt in through mailchimp, like they do when signing up with email address? When you connect MailChimp through API with Thrive Leads, you can chose to use single opt-in (as you can see in the video at 3.56 min) instead of double opt-in. This will avoid your problem. It would be so nice if Thrive Ovation was finally linked to Notification Manager, so that the an SMS notification (along with or instead of an email notification) would be triggered when the Ovation form is filled out. I and many others have been waiting for this promised Ovation feature for months and it still has not happened. Please give the development team a forceful nudge. The development team is pretty busy (you’ll soon discover why) but we haven’t forgotten about this! Hey hanne, excellent tutorial. I can use this for several lead generation projects I work on. The question is what are the costs associated with the sms service? You can start using Twilio for free, this will show “Sent from your Twilio trial account” in the SMS. I’m not exactly sure how much credit they give you. Then you can charge your account with 20$. When I checked for US sms they charge $0.0075 for a local SMS (hence the importance to take a Twilio phone number from the same country as your own phone number). Is it work with convertkit? And if we clone or duplicate the form will be the setting will be set automatically or we have to set it manually for each (duplicate)form? About cloning and duplicating it will depend on the settings in the notification manager. If you clone a form in the same leadgroup and you set up the notification manager with Zapier for that leadgroup, you should receive SMS notifications for all forms in that leadgroup. Great Tutorial Hanne! Very helpful. And clearly English is not your first language, though you speak it really well and with good diction, so well done indeed. Bravo. I use infusionsoft and the other tutorials cover the API connection well too. Not sure why you would need Twilio. Zapier has a sms alert system built in. Great tips! Hi Carlos, yes but only for US :) Twilio will do for all countries! I use an old school patient management system complementing with many-many web tools. (oh my poor busy receptionists). Thanks for your work we can leave some of them in every year!!!! We are a small dentistry but became the most popular owing to our integrated thrive themes system. Earlier we usually run 2 weeks long dental implant campaigns. Now I always have to stop it in one!!! day. And I sell a very expensive, sometimes painful operation… not a jeans or free fitness tickets ;)! This is a great tutorial. Just one question: you put the email as ‘not required’. When I test it by just entering a name and a phone number (and no email) the form does not trigger a conversion since Activecampaign always requires an email. How did you set it to not have the email required? Yeah that’s an error I made. The email address is actually required for all email service integrations. Sorry for that. Another easy method to accomplish this would be using Thrive Leads and ActiveCampaign. All you’d have to do is setup an automation in ActiveCampaign which notifies you whenever a new lead with a phone number is added. It’s extremely simple to setup with ActiveCampaign’s drag and drop automation builder. This method will allow to do this with any mail service and in any country. I currently use ActiveCampaign to notify me immediately of a lead. However the lead has to fill out my long form. My thought was, “if they are a serious client they will fill out the form”. You have compelled my to add a button and test out my results instead of assume my assumptions as correct. Let’s see what comes of it. The reason I did not implement this in the past was because I get a bunch of salesmen filling out my form saying they want a quote, then after I call them they begin with their sales pitch. Shady way to get me to call them then they expect a sale. Is there anyway you recommen I can reduce that sort of behavior? I agree that a “long form” form will put some friction which might help to get more qualified leads. But I think it’s always a good idea to test. You can create a similar sequence through ActiveCampaign and Thrive Themes as well! I like DIY tutorials a lot. Adds extra value to my Thrive Themes subscription. Great way to help me respond to phone leads quickly while on the road. Graag gedaan Daphne! Glad you found this useful and that you’ll implement it! Thank you, Hanne, for the step-by-step Thrive Leads integrations. Your posts are always very helpful as I assemble ideas toward building a full website with Thrive Themes. I’m just using a Landing Page right now. What will happen if I already a contact form on my contact page? if I add the Creating Contact Forms and Managing New Enquiries. I’m afraid I will lose my connection already set-up. Will it make a difference as to which form I use? I completed the second part of the course in Notification Manager. Sorry. I’m not sure what you’re asking… This will only work for the specific Thrive Leads form you set it up. You guys are too awesome. Your training is the best. Thank you. It would be nice to have a template that could be used to capture the name and phone. The current template has the email as a placeholder. I could not fully follow your video. 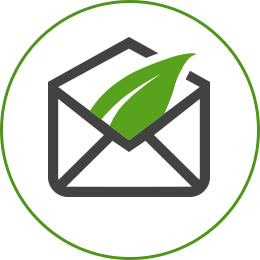 Thrive Leads is about capturing emails. But you can add a phone field too. Feel free to open a ticket on our support forum. They can have a look and hopefully help you out.